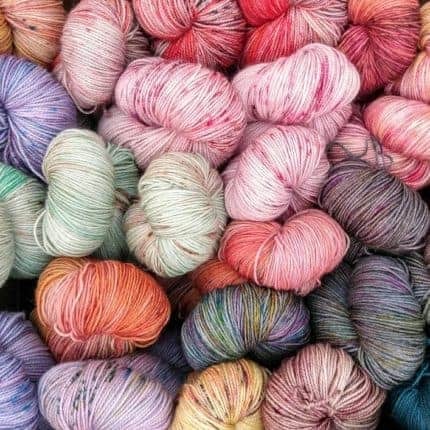 It’s still 100 degrees in the Old Pueblo but I’m dreaming of fall colors and squishy DK weight sweaters. Put them together and you get our Fall 2018 colorway! 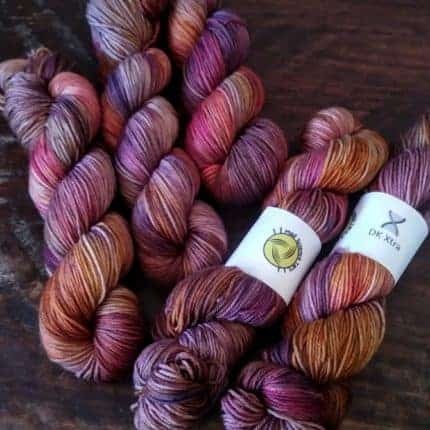 It’s shown here on our DK Xtra base: 115 grams, 250 yards of fabulous extra fine Superwash Merino. This colorway is available for preorder on all bases through mid-September. There are lots of other great fall colors and non-repeatable “experiments” waiting for adoption. We also offer digital gift certificates! Summery colors are taking over the lab! Friday, May 18th will see a couple of new permanent colorways, some “experiments,” and a new base. Smooth Sock makes its debut with 75% Superwash Merino and 25% nylon at 460 yards per 100g. 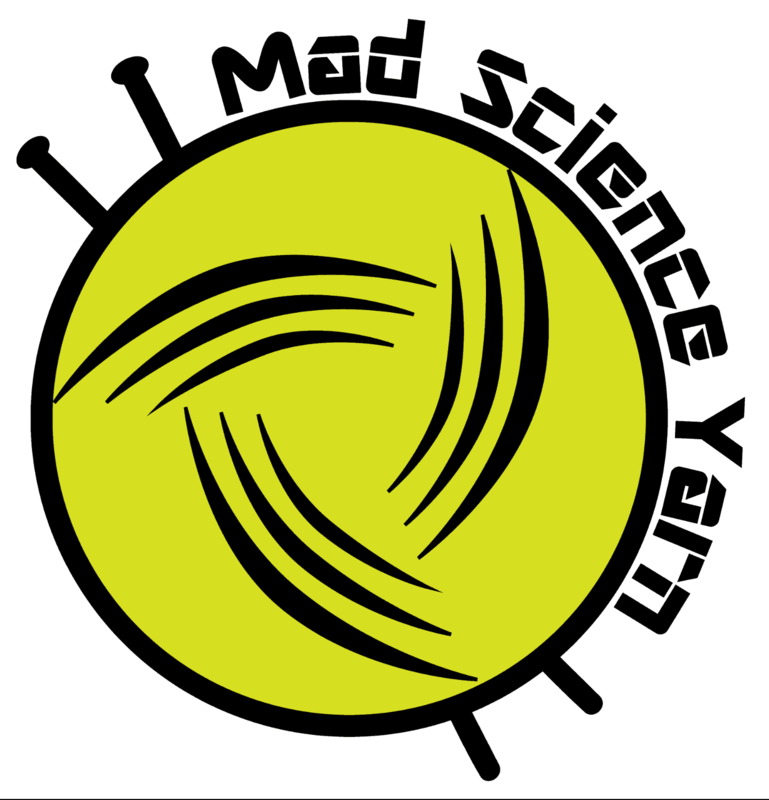 This is a more traditional sock yarn with 4 plies and a smoother surface than Test Tube. Pre-orders are still open for the monthly Women in Science series May colorway inspired by Wang Zheni. If you want a sneak peek, there’s a spoiler image hiding on Instagram. Pre-orders close on the 21st. Next month we’ll be learning about Mary Anning.